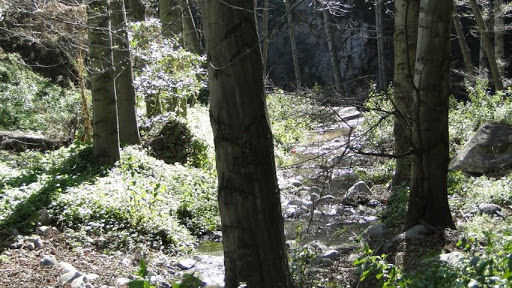 Note: You need a National Forest Adventure Pass to park at Chantry Flat. It costs $5 for a one day pass, which you can either buy at Adam’s pack station or pay for one day of parking at Adam’s pack station. It costs $30 for a year-long pass, which is worth it if you spend a lot of time at any of the national forests in Southern California. Also, you need to have a permit to have a camp fire, although no rangers stopped to check. The permits are available at the National Forest Office, which is on Santa Anita Avenue, just south of the 210. A stream behind my campsite gurgles, laughs, hums, and drones unceasingly. 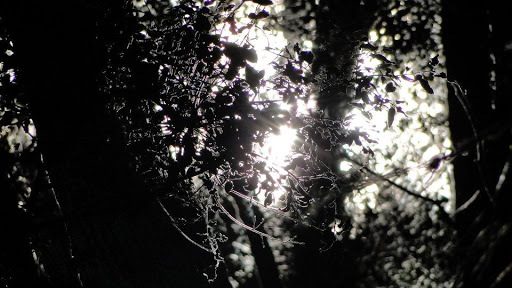 The forest is dark and silent. An owl hoots somewhere deep in the woods, and its hoot is answered later by another owl. They engage in a long conversation of hoots, which echo in the shadows. Meanwhile, the fire crackles. 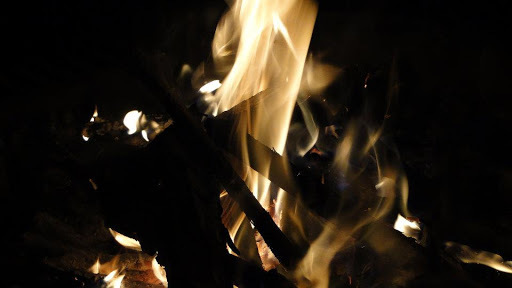 Bay wood creates a warm and fragrant fire. I toss a few bay leaves on the fire, and the smell of the smoke becomes rich and pungent. A few stars shine through the alders and Douglas firs towering overhead as I consider in no small amount of wonder that I am a four mile walk and a five mile drive from the San Gabriel Valley, home to 1,500,000 people. 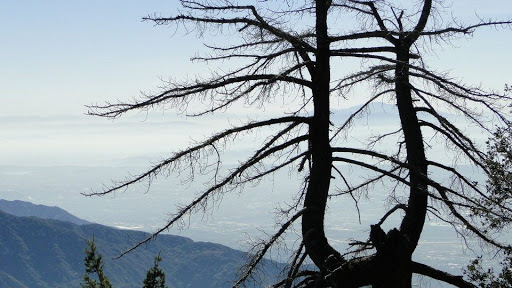 I’ve wanted to camp at Spruce Grove ever since the first time I hiked Santa Anita Canyon. 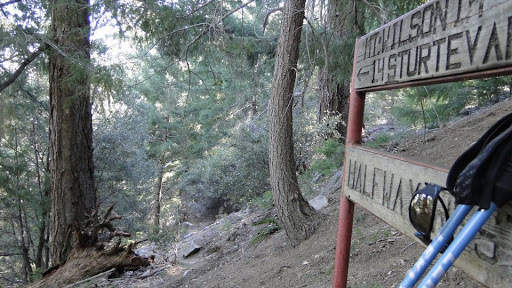 Spruce Grove consists of six backpacking campsites situated along the Gabrielino Trail, just before Sturtevant Camp and the junctions toward Mt. Wilson, Hoagees, and Newcomb Pass. It’s free to camp there on a first-come basis, and the only hoop to jump through is the campfire permit, which is easily obtained at the National Forest Office nearby. 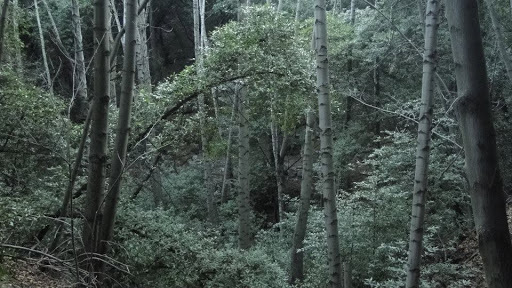 It’s an easy and beautiful hike into the canyon. 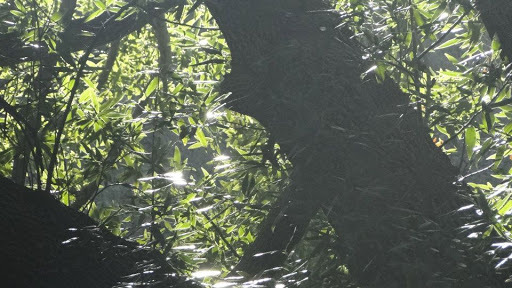 You walk along a creek over which towers alders, bays, live oaks, and Douglas firs. 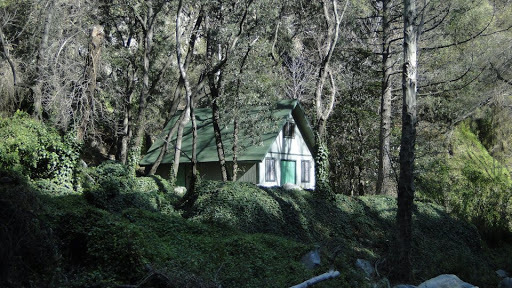 You pass privately-owned cabins that have stood for a hundred years. 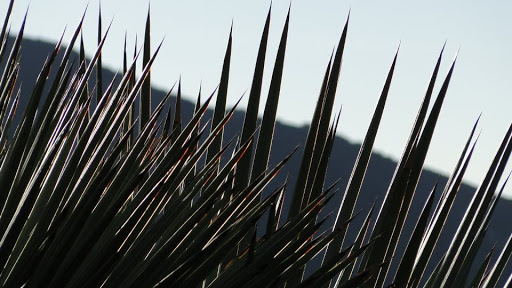 Vines cover the hillsides, supporting bright, purple flowers. An optional spur will take you to a (sometimes crowded) waterfall, through a narrow canyon, and then finally to Spruce Grove, which sits in the deepest, richest part of this riparian forest. I was also testing out my new backpack – an Osprey Aether 70 that will work perfectly for short and long trips. I won’t turn this into a gear review, but as my friend Kevin pointed out, this backpack is like a Lexus. The second day, I woke up with the sunrise, packed my gear up, and headed toward Newcomb Pass. My original plan was to descend into Red Box Canyon on the other side of the pass, check out the Devore and West Fork camps, which function just like Spruce Grove, and then attack Mt. Wilson from the back. However, this hike would have topped 18 miles, and I wasn’t prepared to hike that far and climb a mountain with a heavy pack and a limited supply of water. Instead, I took the rim trail as it traveled across Mt. Wilson’s eastern ridge where it gently swtichbacks up the north-eastern flank of the mountain before it emerges on the observatory complex. The observatory is now rendered obsolete by light polution, thus shunting most of its business down to Palomar. 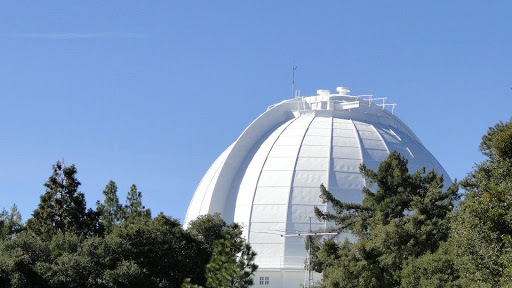 I hike Palomar last week, and I got another set of observatory domes this week. I’m running out of observatories, though. Not sure where to find more. I followed the access road to the main parking lot, museums, and cafe, which are all closed to visitors until April. 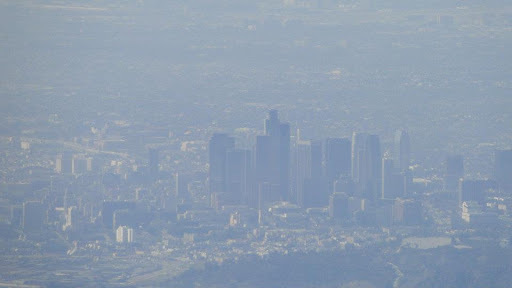 I enjoyed an expansive, but hazy view of Los Angeles. Downtown looked like Lego blocks, and the Channel Islands and Palos Verdes shimmered in the distance. To the east, I could see Baldy, San Gorgonio, San Jacinto, and Santiago Peak brooding over the LA metro area. Sitting up here, high above everything, Los Angeles looks like a giant, living, breathing organism. The freeways are arteries, the buildings muscles, the townships organs. It’s a massive beast, and quite frankly, it isn’t very attractive. However, from up high, it takes on a certain beauty that is absent when you’re stuck on a freeway. And also, you’re free from all that since you’re surrounded by conifers, blue skies, and mountain ranges. 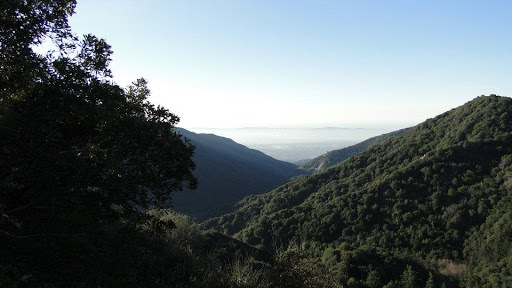 After enjoying the views for a while, I headed down the Sturtevant Trail, which is the route I took up on my first attempt at Mt. Wilson. Sturtevant Trail winds steeply down the south-eastern flank of Wilson until it connects with the Gabrielino Trail at Sturtevant Camp. I emerged only two-tenths of a mile from my campsite, creating a figure-8 loop. 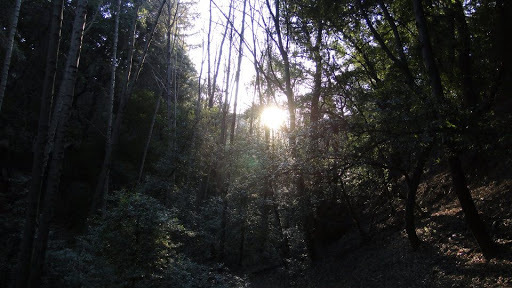 I headed back to Chantry Flat. Usually, I take the Upper Winter Creek Trail, which adds an extra mile, but avoids the beast of an access road that you have to take from the canyon floor up to the Flat, which is perched about 500 feet above the canyon floor. This time, I took the Lower Winter Creek Trail, which passed through more alder-bay-oak forest along a creek and took me by Hoagees Camp, which is very similar to Spruce Grove, but even more accessible. Along the way, I made trail friends with Monique, who was hiking the shorter loop through the canyon. We talked pleasantly for a while until we reached the Flat and parted ways. I shrugged off my pack, which, although loaded with schoolbooks, water, and a few extras just to simulate weight, never felt cumbersome in any way. It was both a successful test run and a marvellous camping experience. 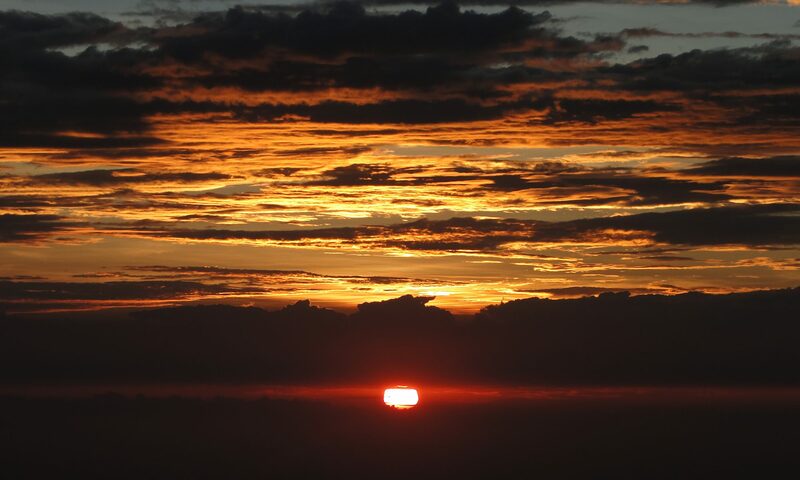 This is a great trip for anybody looking to warm up for a longer backpacking trip. 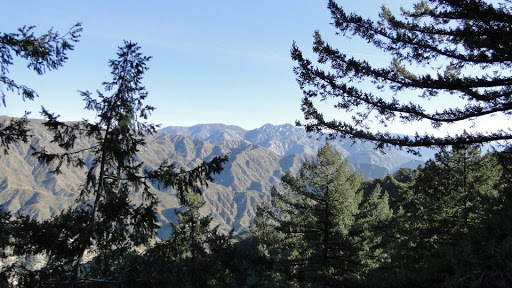 You can keep it short and simple, or you can follow one of the numerous trails leading deeper into the San Gabriel, including the Silver Moccasin Trail which will eventually connect you with the Pacific Crest Trail as it crosses through the San Gabriels. I highly recommend it to anybody in Los Angeles who is looking for a quick and easy backpacking trip.